This is state Rep. Keith Gillespie’s ninth term in office, having first been elected in 2002 to serve the 47th Legislative District in the Pennsylvania House of Representatives. The 47th District consists of the boroughs of Hallam, Manchester, Mount Wolf, North York, Wrightsville and York Haven; as well as the townships of Conewago, East Manchester, Hellam, Manchester and portions of Springettsbury (Districts 02, 03 and 07). An avid sportsman, Keith has been re-appointed to serve as majority chairman of the House Game and Fisheries Committee for the third consecutive term. He served in the same capacity with the House Urban Affairs Committee in the 2013-14 session. Keith is also a member of the House Professional Licensure Committee. House Bill 2326/Act 162 of 2004 - Allows the Pennsylvania Game Commission (PGC) to regulate the process by which harvested big game is reported, thereby opening the door to new technologies such as internet and touch-tone telephone reporting. House Bill 735/Act 107 of 2011 - Removed the existing hunting license display requirement while still requiring hunters and trappers to provide proof of licensure if asked. House Bill 1617/Act 146 of 2012 - Requires suspension of driver’s license for failure to pay court ordered restitution involving vehicle-related fines. House Bill 1868/Act 161 of 2012 - Allows students in cosmetology schools to take the written portion of their various licensing examinations prior to completion of their schooling. House Bill 1425/Act 113 of 2013 - Establishes the Higher Education Eligibility Act to ensure barber, cosmetology, and nursing school students continue to be eligible to receive Federal student loans. House Bill 1056/Act 7 of 2014 - Establishes a new temporary volunteer dental license. House Bill 794/Act 18 of 2016 - Gives 54 of Pennsylvania’s 67 counties, including York County, the option to increase their maximum hotel room tax from 3 percent to 5 percent. Keith graduated from Solanco High School in 1970. He attended Keystone Junior College and Franklin and Marshall College, studying biology and business administration. After college, Gillespie was drawn to the health care field through his desire to help people. In 1972, he became one of the first certified paramedics in Pennsylvania through a national pilot program. In 1978, Gillespie started Lancaster Medical Transport Inc. that later became part of White Rose Ambulance based in York County. Gillespie built the business to 15 full- and part-time employees and managed the company's payroll, marketing, bookkeeping and scheduling. 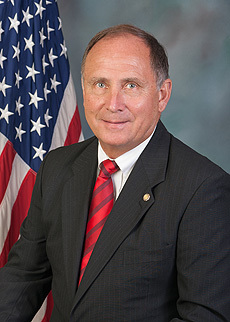 Prior to his election to the House of Representatives, Gillespie worked as the director of safety, security and pre-hospital systems for Memorial Hospital. He began his career as a paramedic with Medic 102, the first full-service medic unit in York County, and eventually became supervisor of the staff of the 24-hour advanced life support unit, leased EMT program and satellite facilities. Gillespie also oversaw the hospital's safety and security staff. His work included the development, management of capital, operation and wage budgets of these departments. Gillespie holds his private pilot’s license for single-engine aircraft and is a certified scuba diver. He is a member of the National Rifle Association and Ducks Unlimited. The 47th District consists of the townships of Conewago, East Manchester, Hellam, Manchester and Springettsbury (Districts 02, 03 and 07). Learn more about Gillespie by visiting his Facebook page.